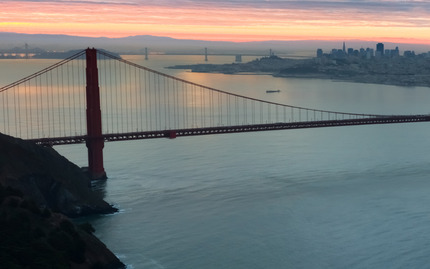 This 60-minute flight will take you over the splendor of the greatest city in the U.S. - San Francisco! Take off from a sea base in the lovely bayside village of Sausalito, just across the Golden Gate Bridge. You'll traverse beautiful Marin County on your way out over Tomales Bay, where Sir Francis Drake himself likely landed over a century ago. Cruise on over to the Pt. Reyes National Seashore, keeping your eyes peeled for frolicing porpoise and whales along the way until you round the breathtakingly scenic Pt. Reyes Lighthouse. The path continues along the incredible Northern Californian coastline above Highway One and finally back over the legendary Golden Gate Bridge herself. 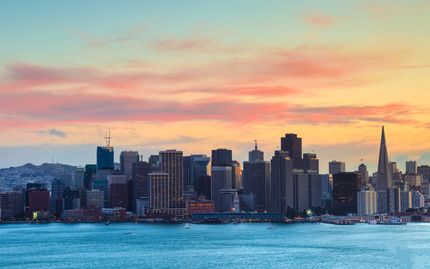 Soar above Crissy Field, downtown San Francisco, AT&T Park - Home of the Major League Baseball World Champion San Francisco Giants, and even the infamous island prison of Alcatraz. Finally, your flight will be completed with a pass by the historic Angel Island - the Immigrant Gateway to the West - and a smooth landing back in Sausalito's Richardson Bay. Bring your camera, because this is a trip you'll never want to forget! Note: There is a 2-person minimum for this booking. This tour around the Bay is A MUST! The team is fantastic! Thie tops of the suspension towers of the Golden Gate Bridge were level with the wings. That's what I call a one of a kind view. My wife and I took thi s flight on our 20 the wedding anniversary. Really spectacular even for someone who has lived in the SF Bay Area for many years. What an amazing experience! Flying low over San Francisco Bay was exhilarating, and the aerial views were phenomenal. We saw the Golden Gate Bridge, downtown San Francisco, Alcatraz, and everything in between. The plane was intimate and every seat had a window, which was awesome. I'm a local and have lived in the Bay Area all my life, but haven't done anything like this. I couldn't put my camera down! I took the hour tour around the San fran Bay area with my father and my 2 kids(ages 12 and 14). We flew over the sonoma vineyards, Alcatraz and the Golden Gate Bridge. The pilot gave us great info about what we were flying over. it was an amazing experience. We felt very safe. We spent a weekend in San Francisco and wanted to do something out of the ordinary. We took the 60 minute Norcal Coastal Tour and highly recommend it. Spent the morning in Sausalito and met our pilot after lunch. It's kind of fun to take off and land on the water. Very smooth ride and great commentary from the pilot along the way. It was just my wife and I with the pilot so she got to ride co-pilot. The first half of the tour is up the coast with views of several light houses, it would be fun to do this during whale season and spot them from the air, no such luck on this day. The second half of the tour is over Golden Gate Bridge, Alcatraz, and San Francisco. Not something you would do every day but the 60 minute tour was just right, not too long and not too short. Brilliant way to see all of San Francisco Bay and the surrounding islands. Great views of the bridges and Alcatraz, the pilot was really good with information during the whole trip. Well worth it especially seeing the Giants stadium. I've lived in the Bay Area for over 30 years but had never taken a ride with Seaplane Adventures. Now I wonder why it took me so long?! I saw the familiar from a whole new perspective as well as some things I'd never seen before. I was reminded agAin about what a special place this is and the Seaplane Adventures staff were so professional and informative. A "Don't Miss" experience and a fabulous birthday gift from my daughter to my husband! This HAS to be the only way to see San Francisco... from the skies! My friends and I had a great time with our pilot Aaron who is a fountain of knowledge when it comes to the Bay Area! His amusing commentary guided us across the Golden Gate Bridge, Marin Headlands, Alcatraz and San Francisco itself. If you're debating between a helicopter tour or a seaplane tour then look at it like this... How often will you get a chance to fly on a seaplane compared to a chopper? Taking off and landing in Richardson Bay is an experience we'll never forget. Just awesome! Planned this surprise trip for my Son's 30th birthday. The flight was absolutely beautiful, weather was perfect and sky was clear. I would recommend seeing the Bay Area from above. We took the 1/2 hour ride which was perfect. Jerone was an awesome. He gave us a lot of history and information but we couldn't hear him. The only reason I didn't give it a 5 is because we couldn't hear the pilot at all. The head phones are either really old or the whole speaker system is old probably due to the age of the seaplane. We adjusted the sound but it didn't help, too much static. I've been on a tour in a helicopter and could hear via headphones clear as a bell. I suggest they update their system. I had to love my ride in the seaplane. This is something I wanted to do since I visited San Francisco first back in the year 2000. We had visitors and we took them here and it was really great! I have to admit it was a little scary, but I actually ended up enjoying it. Fun fun fun!! 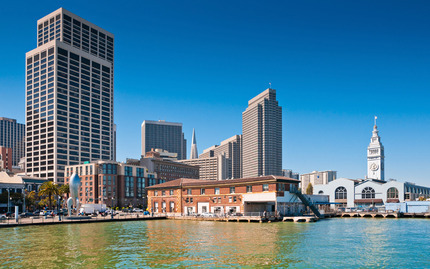 We took the Seaplane tour last week on our visit to the Bay Area and all I can say is, this is a MUST DO! The pilot and staff are very friendly and accessible, the location is convenient and easy to find, and the views are stunning. The flight offers a perspective of the one of the most striking and beautiful areas in the world that you just simply can not get any other way. This is truly up close and personal. Keep in mind that this is a small aircraft and subject to bumps, turns, and sensations you do not get in a commercial airliner. If you are prone to motion sickness like my wife, have a full stomach and take Dramamine. You'll be fine! There is absolutely no cooler way to see this beautiful area. We loved or seaplane ride! Even though there was thick fog, the pilot flew below it so we could see all the sights. The pilot was funny with his narrative detail about the landmarks we passed over. The reception desk staff were real friendly too. It was really fun to see the sights from the seaplane, even from a local's perspective. This was a great way to see the SF bay and the perfect end to our holiday. Fun, accommodating (they were able to wait until the mist had cleared from the bridge), and very informative. And if you are a plane enthusiast you get to see what flying a seaplane is all about. Well worth doing. What an amazing experience! I will recommend this for anyone I know visiting SF. I have pictures of the city and Golden Gate Bridge that are nothing like I have ever seen before. Amazing is the only word I can think of to describe this fabulous experience. We are locals that would not normally take a Bay Area seaplane ride but really glad we did. Our pilot, Paul was outstanding and the ride was the best. It was a great way to get a unique perspective on the Bay. Staff was really friendly and did a great job as well. Highly recommend! We just did the tour and it was great. Luckily we had a clear day with beautiful weather:). Staff is friendly and organized. The pilot is informative and funny. It's a must!